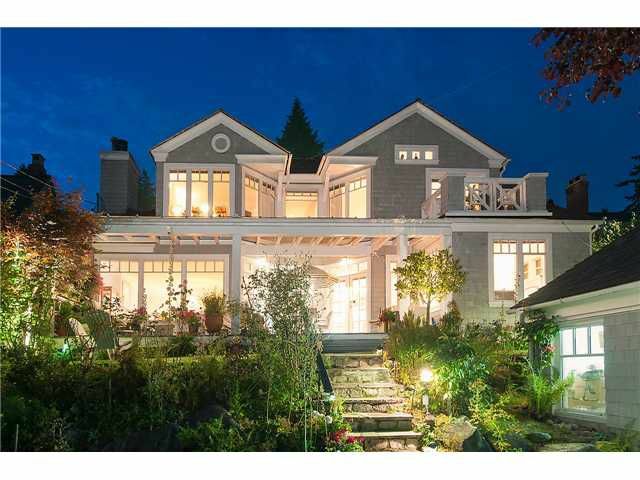 Dundarave character home with views to the ocean, Islands & city. Situated on a 9,148 sq ft property on the south side of the 2600 block of Lawson with sunny south facing backyard. Great architect designed floor plan, perfect for entertw/ gracious living room & two sets of French doors leading to south facing deck & backyard w/ beautiful mature gardens. Large, bright kitchen w/ granite Island & adjoining family room. 4 bdrms up. Tons of storage. Double garage (could be a charming artist studio?) w/ access from Haywood Ave. Close to great schools (Irwin Park Elementary, Ecole Pauline Johnson, West Van Senior Secondary & private schools). Close proximity to Dundarave Village, Seawall & beaches. Open House Sunday 2-4 Sept 21st.